Comfort and convenience are at the core of Virginia Mason Bellevue Medical Center, where our team is committed to providing the best possible patient experience. In addition to primary care medicine, we provide a variety of specialty services – from cardiology to orthopedics and a travel health clinic. The medical center also offers dietitian services, laboratory facilities, ultrasound, X-ray and mammography. For our general internal medicine patients, same-day appointments are available on Saturday mornings. 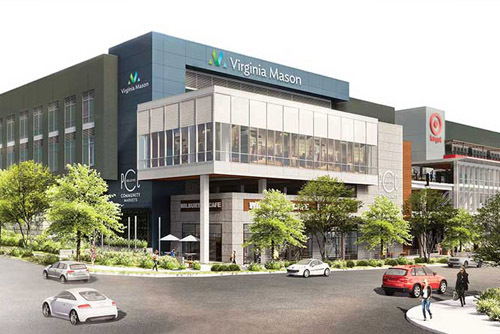 Especially convenient for people living or working on the Eastside, Virginia Mason Bellevue Medical Center is located just off I-405 in Bellevue, with free parking. The main entrance on 112th Avenue N.E. leads into a comfortable reception area where our friendly team will greet you, check you in and make sure you know what your next steps are.